Jamie Angelich is the 2014 recipient of the Invisible Disabilities Association’s Volunteer Honors Award. 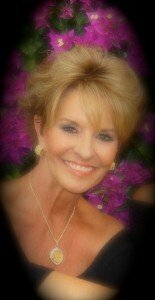 Jamie has been chosen based upon her lifelong long passionate volunteerism with multiple charities serving people living daily with illness and disability. Thank you Jamie for caring for people in all stages of life from children through seniors by volunteering for the Kempe Foundation, Children’s Hospital Colorado, the Children’s Diabetes Foundation, the Excelsior Youth Center and Bessie’s Hope. Jamie is a native Texan who moved to Denver in 1986. She married Alan Angelich in 1989. Alan is enjoying his retirement. Her son Adam is studying engineering at the University of Southern California. Now that Jamie and Alan are empty nesters, they are enjoying traveling more – primarily centering around golf trips. As you can see by the following, Jamie has had a life long passion for volunteering. Chair, 2011 K9 Connection of Greenwood Village Police Dept. Chair, 1996 & 1999 Artreach Festival of Trees, Artreach, Inc.